Luminary V Review: Scam or Not? Is there really a pill that can make you smarter, focus better, and even improve your overall IQ? The official Luminary V website actually claims that their supplement can do just that. I have taken it upon myself to determine whether this is true or if this supplement is just another SCAM trying to trick people into spending crazy amounts of money for something that is not only ineffective but potentially dangerous. In my, Luminary V review I will share information I’ve found online about the supplement, the ingredients, and my personal experience in taking this supplement. Is there really a “smart pill” or is it just a SCAM? Let’s see. To start off a quick overview of the supplement. 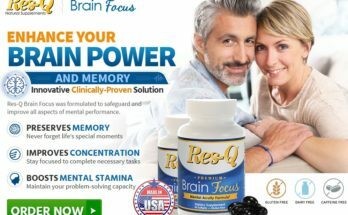 In the official website, they claim that the supplement can help with concentration, enhance memory recall, increase IQ scores, and do all of this while boosting your overall energy levels. All of this is claimed to be possible within minutes of taking the supplement, this alone automatically makes a red flag pop up. The special combination of ingredients are claimed to be studied by top institutes and neuroscientists throughout the United States, but fail to actually provide the reader with a list of the neuroscientists and institutes. Personally, right off the bat, the claims seem like a SCAM simply because there is no way for someone to simply get smarter by popping a pill. 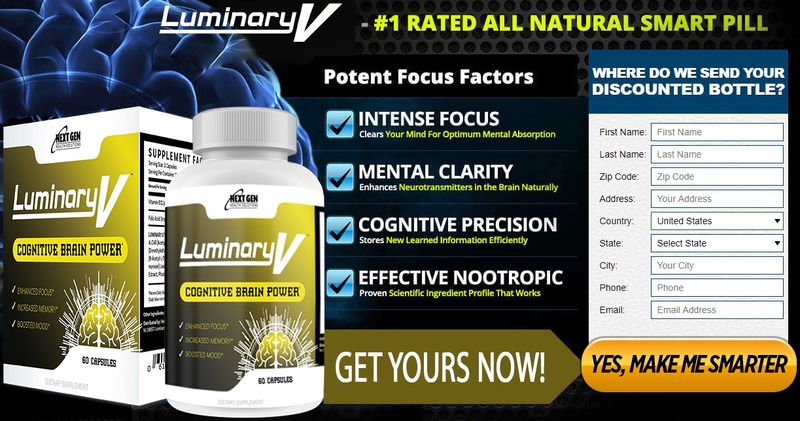 What are the Ingredients of Luminary V? Vitamin E – Possibly effective for a variety of diseases of the brain and nervous systems like Alzheimer’s disease, restless leg syndrome, epilepsy, and Parkinson’s and safe in moderate quantities as per recommendation by the doctor. Vitamin B6 – Taken to break down proteins, maintain healthy nerve function, make antibodies, and a number of other benefits when taken in controlled small doses. Folate – Better known as folic acid, this ingredient is taken primarily by pregnant women or those looking to get pregnant to help treat deficiencies. Vitamin B12 –Used in combination with Folate it is primarily used to treat Vitamin B12 deficiency where the Vitamin B12 levels in the blood are low as well as insufficient evidence for its effectiveness for Alzheimer’s disease, memory loss, a mood, energy, and immune system booster. “Brain Blend” – It was impossible to read what exactly this “Brain Blend” consists of in the image so I have no further information aside from simply listing it. Phosphatidylcholine Powder – It is believed to improve spatial learning and improve memory and though listed as possibly safe it is known to have side effects such as stomach upset, sweating, and diarrhea. Long-term use has not been tested. DMAE Bitartrate – Likely effective for application for Alzheimer’s patients and insufficient evidence for its effectiveness in improving memory and mood. Omega 3 Complex – Heart and cardiovascular health supplement with no serious side effects when taken as prescribed by a doctor. GABA – Found in the brain, this chemical helps prevent and relieve anxiety all the while improving mood. Taken primarily by those suffering from ADHD, there is still insufficient evidence for how effective it really is. Ginko Biloba Leaf Extract – As the seeds of the actual plant are very toxic it is essential that the extract is pure and safe or else there could be serious side effects. With that said there are some researches claiming that it can improve memory and concentration. Alpha Lipoic Acid – An antioxidant which is commonly taken for improving chronic fatigue syndrome, Alzheimer’s disease, and memory. Vinpocetine – Developed in labs, this man-made chemical is meant to resemble the substance found in a plant called Vinca minor. There is limited research claiming that it helps sufferers of Alzheimer’s disease. Huperzine – A – Though initially natural, this supplement goes through so many chemical and purification processes that many argue that it should actually be a drug instead. 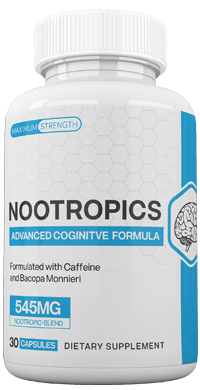 There are claims that it is relatively effective in improving mental function, memory, mood, and overall mental well-being. Microcrystalline cellulose –Used regularly in the pharmaceutical industry as an excipient. Gelatin – Used for preparation of medicines and supplements. The protein made from animal products. Vegans and Vegetarians beware. Silicon Dioxide – A mineral regularly used for supplements and medicines with insufficient evidence in improving Alzheimer’s disease. Calcium Silicate – Used for the preparation of a number of medicines and supplements this is a silicone and calcium mixed compound. Vegetable Magnesium Stearate – Basically keeps all the ingredients in a supplement or medication blended together. Soy and Fish (sardine, anchovy, salmon) – I tried to research why there would be soy and fish, particularly sardines, anchovies, and salmon in a supplement but couldn’t really find any actual information on this though I’m sure there is a very good reason for it. 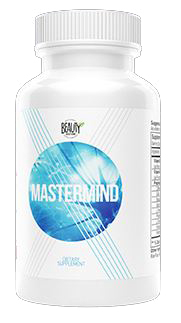 Overall there are some ingredients in the supplement that do actually have some kind of proof to aid in retention of memory, improve overall brain function, and energy there are still some that really have nothing to do with it which seem a bit of an overkill. I researched each individual ingredient a number of trusted medical sites online. Some seem promising to deliver on what is promised while others seem to just offer inconclusive results. My Personal Experience with Luminary V? I took it upon myself to experience the supplement myself so as to offer a better review and the results are less than impressive. 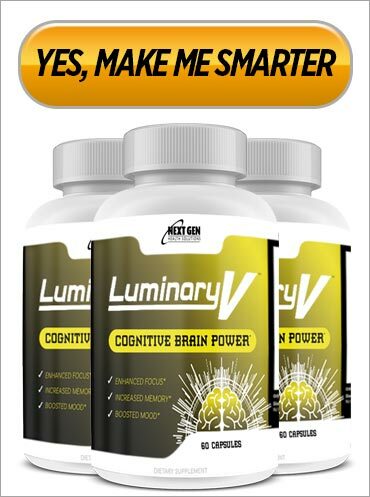 Luminary V claims to improve memory, IQ, energy, and overall brain function and personally, I didn’t see any major improvement. I do have problems with remembering things in general due to an overwhelming schedule and I didn’t necessarily experience any improvement in remembering what I had to do, learning faster, and certainly, I didn’t feel any smarter. Where to buy Luminary V? You cannot find Luminary V in big chain stores and pharmacies, I haven’t tried all of those small pharmacies but honestly, I doubt you’ll find it there either. You can only purchase it from the official website which offers 3 plans. The plans range from $44.95 to $149.85 where you pay $9.99 shipping & handling for the cheapest plan and shipping is free for the other two. After purchase, you can cancel and get a refund to get your money back but the bottle must be shipped and received within 30 days of it being originally shipped to you. Shipping & handling for returns is paid by you. 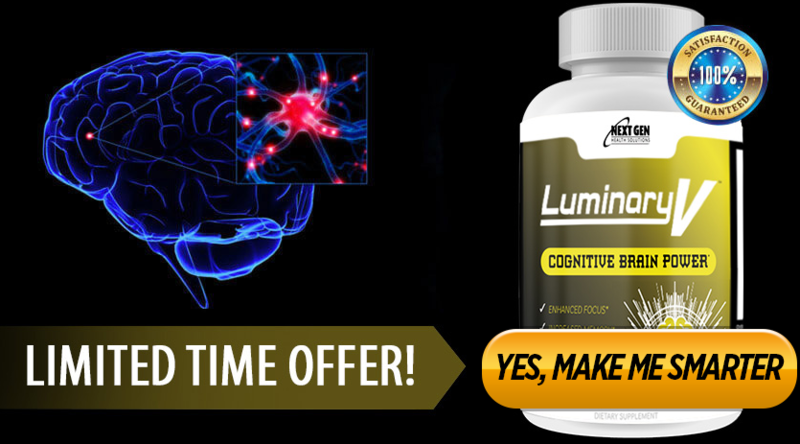 After reading up on the various ingredients there is a small chance that this supplement can help with memory and concentration. About improving IQ, I highly doubt it. Personally, if you ask me to hit the books, train your brain, and do focus practice regularly and you’ll get better results. There is no real research done about the combination of ingredients and the actual supplement to convince me that this is a real “smart pill”. I conclude that Luminary V is a SCAM and not worth the money.